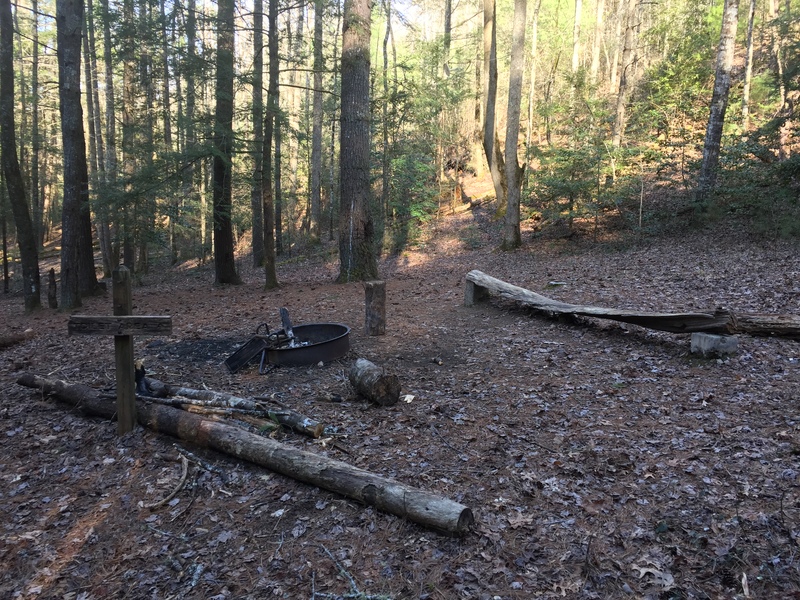 Hannah Mountain Trail – Campsite #16 is at the intersection of Hannah Mountain Trail and Rabbit Creek Trail. Water: Available from small spring near campsite. Campsite #16 is a former shelter site. The main fire ring is near the foundations. The site has fewer flat spaces than most but in general, the site well drained. 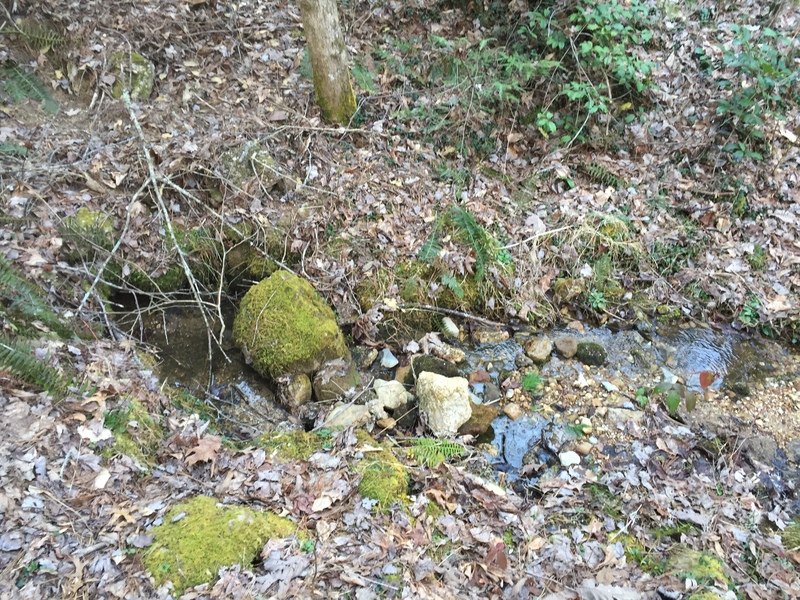 The water source is a very small spring near the site that looks like it may be iffy in dry weather conditions. There is a combination of mature trees making it necessary to choose tent placement wisely. The biggest feature is the fact that the site is completely off and out of site of the trails. This entry was posted in Campsites and tagged Campsite #16, CS #16 on April 12, 2016 by blogginggazelle.